The first step was a precise characterization of the error in the main mirror. Working backwards from images of point sources, astronomers determined that the conic constant of the mirror as built was −1.01390±0.0002, instead of the intended −1.00230. The same number was also derived by analyzing the null corrector used by Perkin-Elmer to figure the mirror, as well as by analyzing interferograms obtained during ground testing of the mirror. Servicing Mission 4, flown by Atlantis in May 2009, was the last scheduled shuttle mission for HST. SM4 installed the replacement data-handling unit, repaired the ACS and STIS systems, installed improved nickel hydrogen batteries, and replaced other components. SM4 also installed two new observation instruments—Wide Field Camera 3 (WFC3) and the Cosmic Origins Spectrograph (COS)—and the Soft Capture and Rendezvous System, which will enable the future rendezvous, capture, and safe disposal of Hubble by either a crewed or robotic mission. Except for the ACS's High Resolution Channel which could not be repaired and was disabled, the work accomplished during SM4 rendered the telescope fully functional, and it remains so as of 2019. As of 2017, the Trump Administration is considering a proposal by the Sierra Nevada Corporation to use a manned version of its Dream Chaser spacecraft to service Hubble some time in the 2020s both as a continuation of its scientific capabilities and as insurance against any malfunctions in the to-be-launched James Webb Space Telescope. Tatarewicz, Joseph N. (1998). "The Hubble Space Telescope Servicing Mission". In Mack, Pamela E. (ed.). From Engineering Science to Big Science. NASA History Series. NASA. ISBN 978-0-16-049640-0. NASA SP-1998-4219. A detailed account of the first servicing mission. The Advanced Camera for Surveys (ACS) is a third-generation axial instrument aboard the Hubble Space Telescope (HST). The initial design and scientific capabilities of ACS were defined by a team based at Johns Hopkins University. ACS was assembled and tested extensively at Ball Aerospace & Technologies Corp. and the Goddard Space Flight Center and underwent a final flight-ready verification at the Kennedy Space Center before integration in the cargo bay of the Columbia orbiter. It was launched on March 1, 2002 as part of Servicing Mission 3B (STS-109) and installed in HST on March 7, replacing the Faint Object Camera (FOC), the last original instrument. ACS cost US$86 million at that time.ACS is a highly versatile instrument that became the primary imaging instrument aboard HST. It offered several important advantages over other HST instruments: three independent, high-resolution channels covering the ultraviolet to the near-infrared regions of the spectrum, a large detector area and quantum efficiency, resulting in an increase in HST's discovery efficiency by a factor of ten, a rich complement of filters, and coronagraphic, polarimetric, and grism capabilities. The observations undertaken with ACS provided astronomers with a view of the Universe with uniquely high sensitivity, as exemplified by the Hubble Ultra-Deep Field, and encompass a wide range of astronomical phenomena, from comets and planets in the Solar System to the most distant quasars known. The Faint Object Spectrograph (FOS) was a spectrograph installed on the Hubble Space Telescope. It was replaced by the Space Telescope Imaging Spectrograph in 1997, and is now on display in the National Air and Space Museum in Washington DC. The High Speed Photometer (HSP) is a scientific instrument formerly installed on the Hubble Space Telescope. The HSP was designed to measure the brightness and polarity of rapidly varying celestial objects. It could observe in ultraviolet, visible light, and near infrared at a rate of one measurement per 10 microseconds. The design was novel in that despite being able to view through a variety of filters and apertures, it had no moving parts except for the filter wheel. It was functional from launch in 1990 until it was removed at the end of 1993, and it helped diagnose an issue with the Hubble's primary mirror.The HSP was one of the instruments on Hubble at launch. Its primary mission was compromised by the optical problems with the telescope, although some projects were still successful. During the first servicing mission, in December 1993, it was replaced by the Corrective Optics Space Telescope Axial Replacement (COSTAR), which corrected the optical problem for the remaining instruments. The principal investigator for the instrument was Dr. Robert C. Bless. Dr. Bless died in 2015, and his contributions to the Hubble Space Telescope and the HSP instrument were noted in news media. He worked at the University of Wisconsin–Madison, and the HSP was the lightest and least expensive of the launch instruments.The HSP instrument is located as of 2015 at the University of Wisconsin-Madison's Space Place.It was scientifically active during its period of use, and example of observations taken with the instrument is ultraviolet photometry of Nova Cygni 1992. 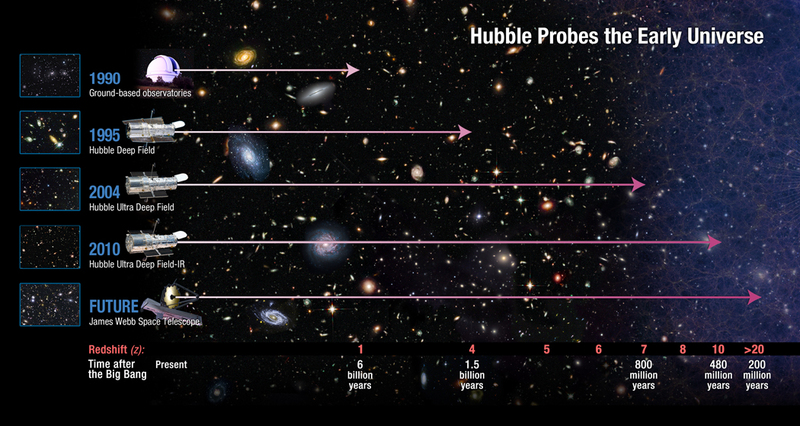 The Hubble Heritage Project was founded by a group of astronomers in 1998. The team releases on an almost monthly basis pictures of celestial objects like planets, stars, galaxies and galaxy clusters. A team of astronomers and image processing specialists selects images from the Hubble Space Telescope's public data archive, which are usually only shared within the astronomical community. Because most of the photos were taken for scientific reasons they often lack sufficient exposure across a range of colors. A small amount of observation time with the Hubble Space Telescope has been granted to the team to fill in the gaps in these images. The Project has been recognized for its contribution to public inspiration in producing some of the most aesthetically pleasing images ever produced in astronomy. Achievements for the team include the Astronomical Society of the Pacific 2003 Klumpke-Roberts Award for "outstanding contributions to the public understanding and appreciation of astronomy." In 2002, two Heritage images were selected in the Rochester Institute of Technology's "Images From Science" traveling gallery exhibit. Several images have been selected by the US and UK postal systems. In 2000, a first-class US postage stamp showing the Ring Nebula was one of five Hubble images selected to be part of a commemorative series of stamps honoring astronomer Edwin P. Hubble. The website of the project contains a lot of information about the NASA/ESA Hubble Space Telescope, including a lot of interesting images taken by the Hubble, and information about the future of Hubble. The images on the site are the most notable ones taken by Hubble, and are specifically enhanced with color for release to the public. They are available in different formats, including as computer wallpapers. The Hubble Origins Probe (HOP) was a proposal for an orbital telescope made in 2005 in response to the first cancellation of the fourth Hubble Space Telescope (HST) servicing mission. It would have used an Atlas V rocket or similar launch vehicle to launch a much lighter, unaberrated mirror and optical telescope assembly, using the instruments that had already been built for SM4, along with a new wide-field imager. It would have cost between $700 million and $1 billion.Funding for the mission was never allocated; in February 2005, Sean O'Keefe, the NASA administrator who had cancelled SM4, resigned. Michael D. Griffin, NASA administrator after O'Keefe, reinstated the servicing missions, making HOP redundant. Pillars of Creation is a photograph taken by the Hubble Space Telescope of elephant trunks of interstellar gas and dust in the Eagle Nebula, specifically the Serpens constellation, some 6,500–7,000 light years from Earth. They are so named because the gas and dust are in the process of creating new stars, while also being eroded by the light from nearby stars that have recently formed. Taken on April 1, 1995, it was named one of the top ten photographs from Hubble by Space.com. The astronomers responsible for the photo were Jeff Hester and Paul Scowen from Arizona State University. The region was rephotographed by ESA's Herschel Space Observatory in 2011, and again by the Hubble in 2014 with a newer camera (see below). The Sagittarius Window Eclipsing Extrasolar Planet Search, or SWEEPS, was a 2006 astronomical survey project using the Hubble Space Telescope's Advanced Camera for Surveys - Wide Field Channel to monitor 180,000 stars for seven days to detect extrasolar planets via the transit method. The Space Telescope – European Coordinating Facility (ST-ECF) was an institution which provided a number of support and service functions primarily for European observers of the NASA/ESA Hubble Space Telescope (HST). It was established in 1984 by the European Space Agency (ESA) and the European Southern Observatory (ESO), and was located at the ESO headquarters in Garching bei München, Germany. The ST-ECF ceased operations on 31 December 2010.The ST-ECF provided detailed technical information about the HST and its science instruments, supported European astronomers who were preparing HST observing proposals and coordinated the development of computer software tuned to the specific data analysis needs of HST users. In all these duties the ST-ECF staff maintained close contacts with the Space Telescope Science Institute (STScI) in Baltimore, which is charged with the scientific operation of the HST observatory. The ST-ECF was last headed by Robert (Bob) Fosbury. Deputy was Jeremy Walsh. The Space Telescope Science Institute (STScI) is the science operations center for the Hubble Space Telescope (HST) and for the James Webb Space Telescope (JWST). STScI is located on the Johns Hopkins University Homewood Campus in Baltimore, Maryland and was established in 1981 as a community-based science center that is operated for NASA by the Association of Universities for Research in Astronomy (AURA). In addition to performing continuing science operations of HST and preparing for scientific exploration with JWST, STScI manages and operates the Mikulski Archive for Space Telescopes (MAST), the Data Management Center for the Kepler mission and a number of other activities benefiting from its expertise in and infrastructure for supporting the operations of space-based astronomical observatories. Most of the funding for STScI activities comes from contracts with NASA's Goddard Space Flight Center but there are smaller activities funded by NASA's Ames Research Center, NASA's Jet Propulsion Laboratory, and the European Space Agency (ESA). The staff at STScI consists of scientists (mostly astronomers and astrophysicists), software engineers, data management and telescope operations personnel, education and public outreach experts, and administrative and business support personnel. There are approximately 100 Ph.D. scientists working at STScI, 15 of which are ESA staff who are on assignment to the HST project. The total STScI staff consists of about 450 people.STScI operates its missions on behalf of NASA, the worldwide astronomy community, and to the benefit of the public. The science operations activities directly serve the astronomy community, primarily in the form of HST, and eventually JWST observations and grants, but also include distributing data from other NASA missions, such as the Far Ultraviolet Spectroscopic Explorer, Galaxy Evolution Explorer and ground-based sky surveys. The ground system development activities create and maintain the software systems that are needed to provide these services to the astronomy community. STScI's public outreach activities provide a wide range of information, on-line media, and programs for formal educators, planetariums and science museums, and the general public. STScI's award-winning public outreach websites receive millions of hits per month. STScI also serves as a source of guidance to NASA on a range of optical and UV space astrophysics issues. The Wide Field Camera 3 (WFC3) is the Hubble Space Telescope's last and most technologically advanced instrument to take images in the visible spectrum. It was installed as a replacement for the Wide Field and Planetary Camera 2 during the first spacewalk of Space Shuttle mission STS-125 (Hubble Space Telescope Servicing Mission 4) on May 14, 2009.